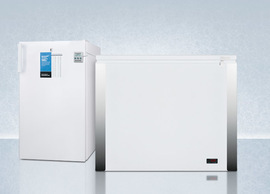 Refrigerator - Refrigerant Amount 1.13 oz. 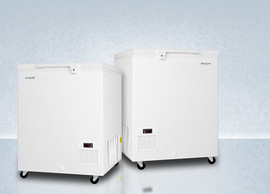 Freezer - Refrigerant Amount 1.5 oz. 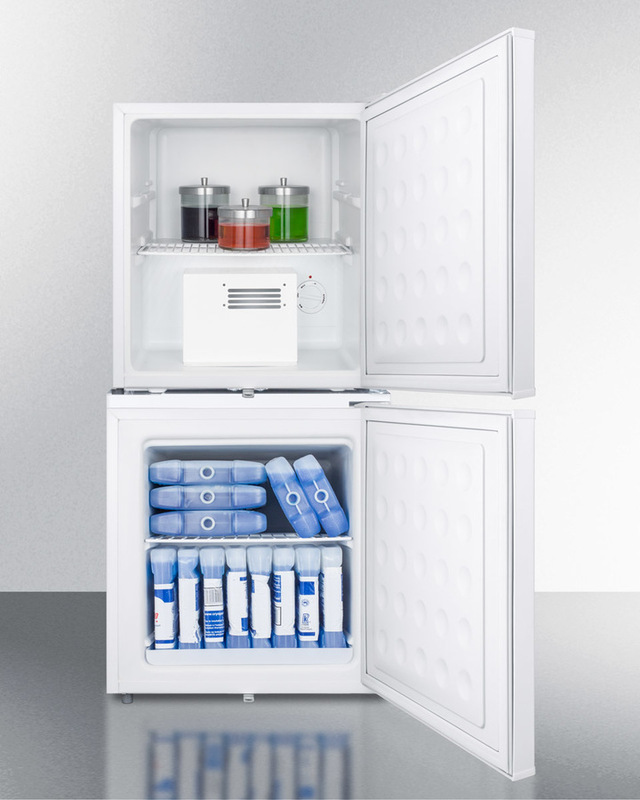 The FFAR24L-FS24LSTACKMED combines two compact units with our stacking rack for a perfectly sized custom refrigerator-freezer. 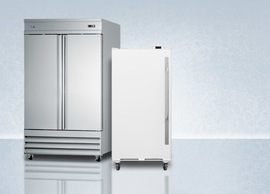 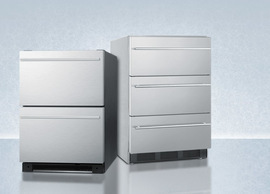 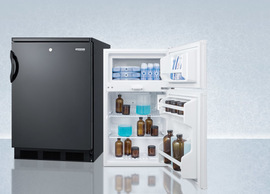 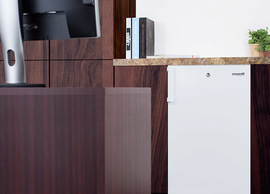 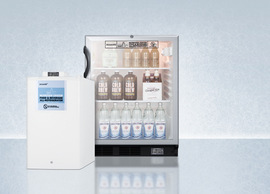 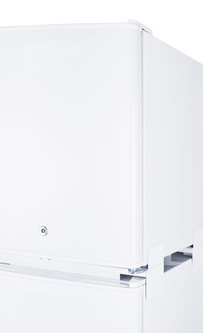 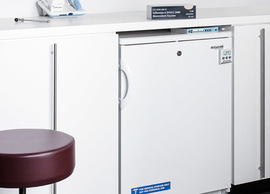 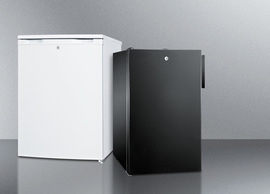 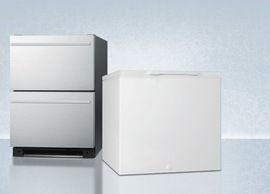 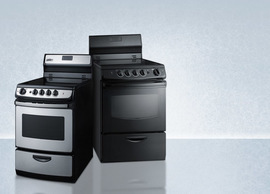 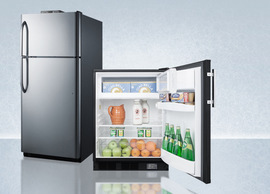 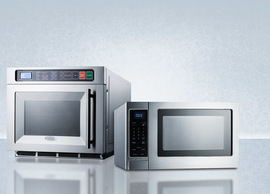 All-refrigerator FFAR24LMED is auto defrost, with an internal fan, removable shelf and flat door liner. 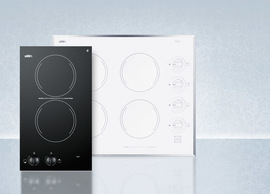 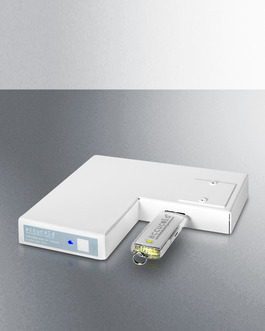 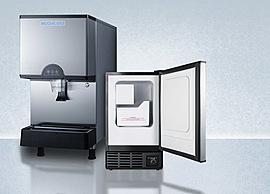 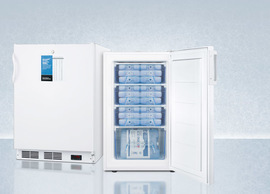 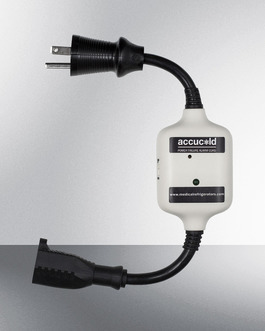 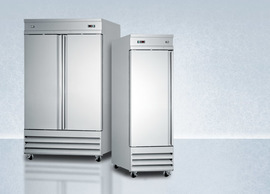 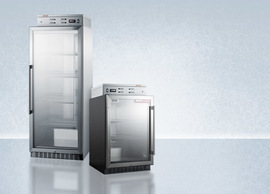 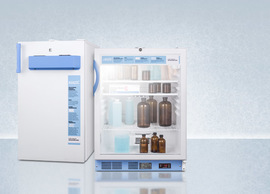 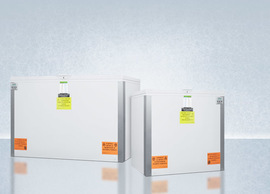 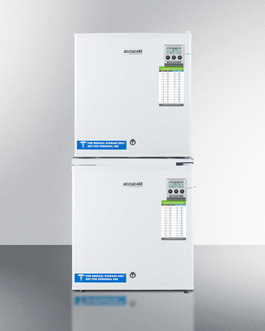 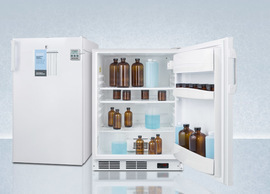 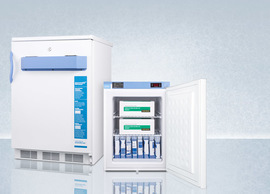 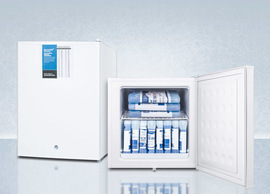 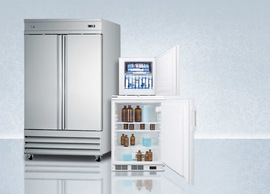 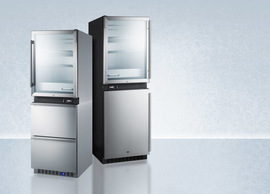 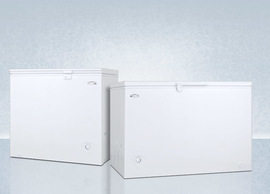 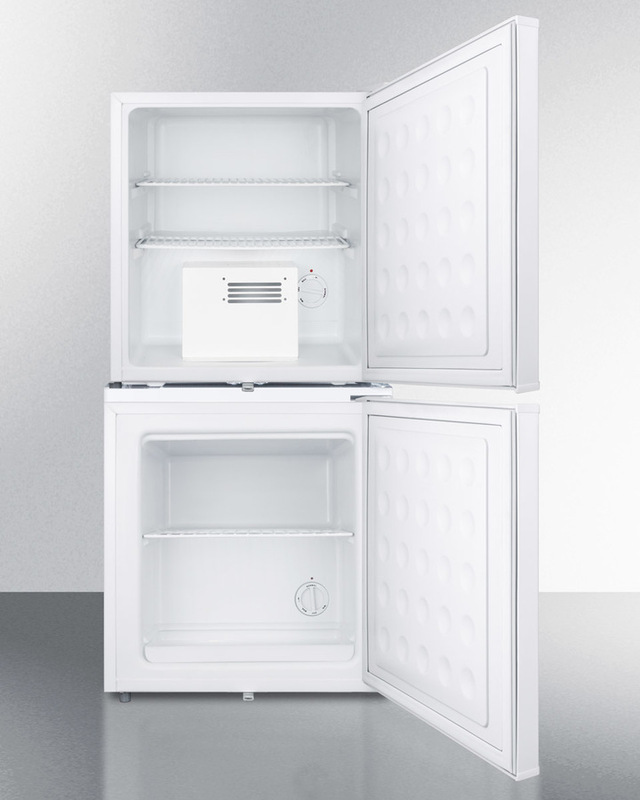 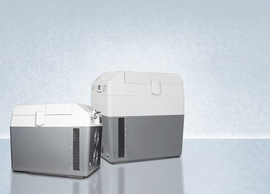 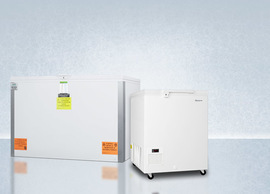 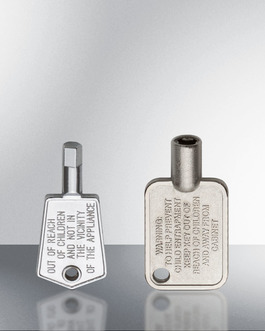 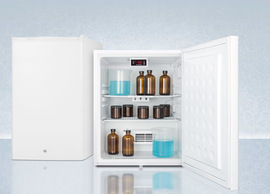 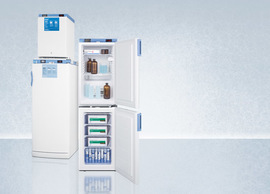 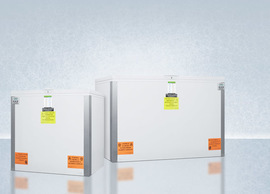 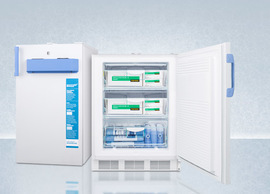 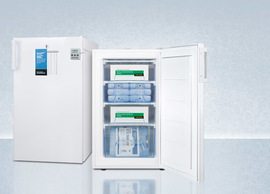 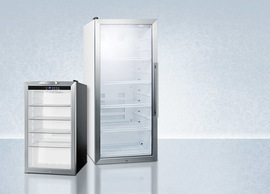 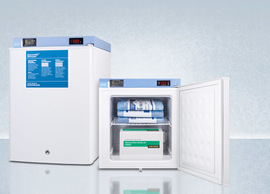 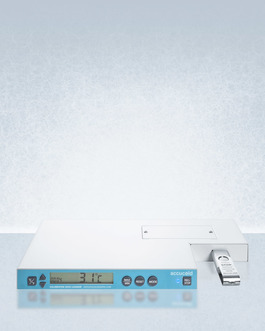 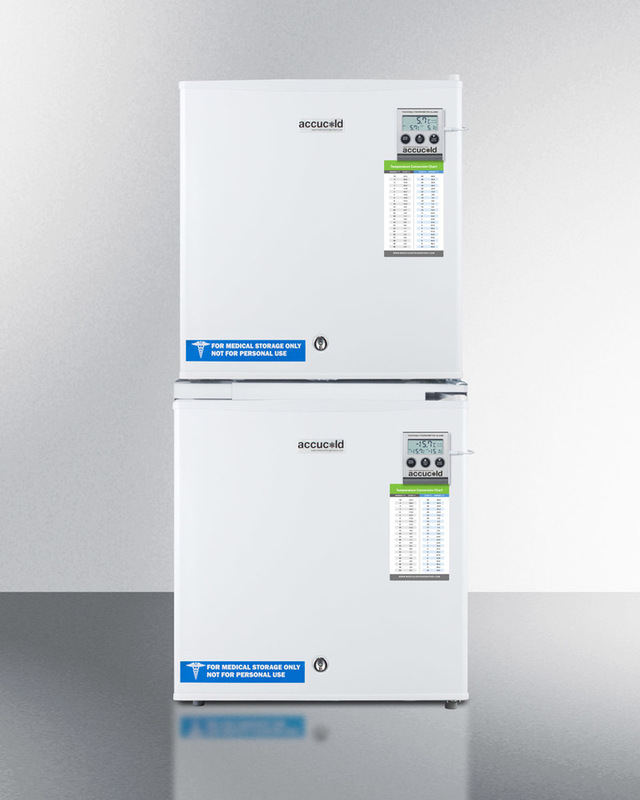 All-freezer FS24LMED is manual defrost, with -20ºC temperature cabaility.